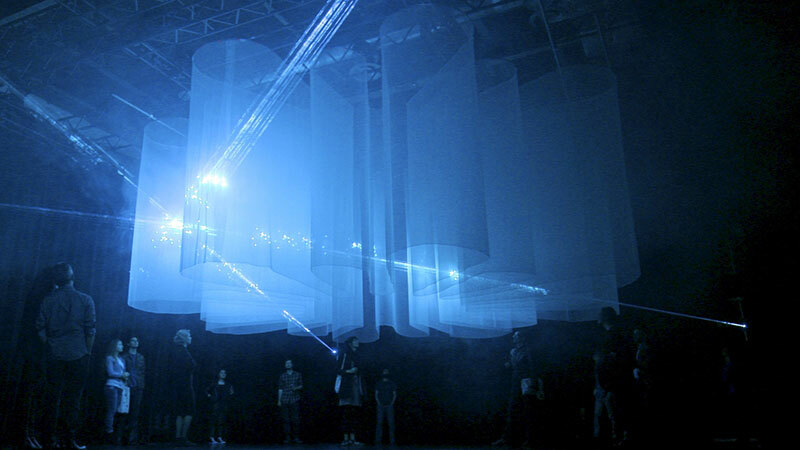 A curved shape of thin and transparent fabric is floating in the middle of the room, above the heads of the audience. A swarm of intense colorful dots of light move across the object, resulting in emerging and decaying patterns, perfectly synchronised to sonic events, evoking associations of star fields, cosmic forces and particle accellarators. The underlying data model is simulating processes of energy accumulation and sudden discharge, which creates constantly new variations over the course of the exhibition period. 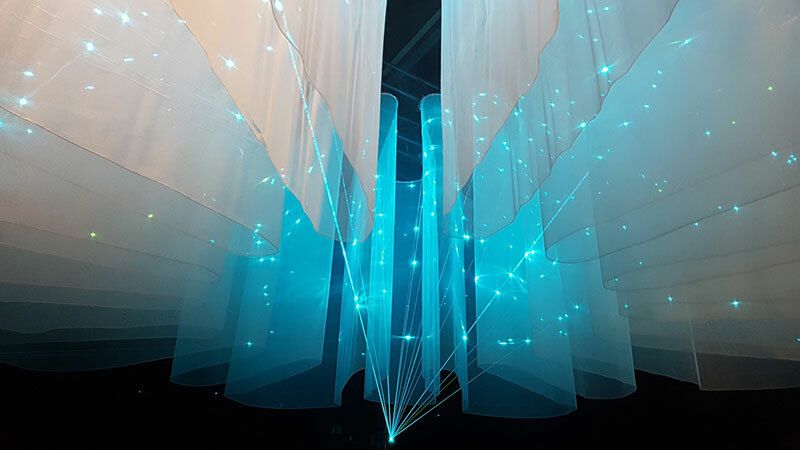 The shape of the fabric has been calculated using the mathematical process of spline interpolation, hence the name of the installation.